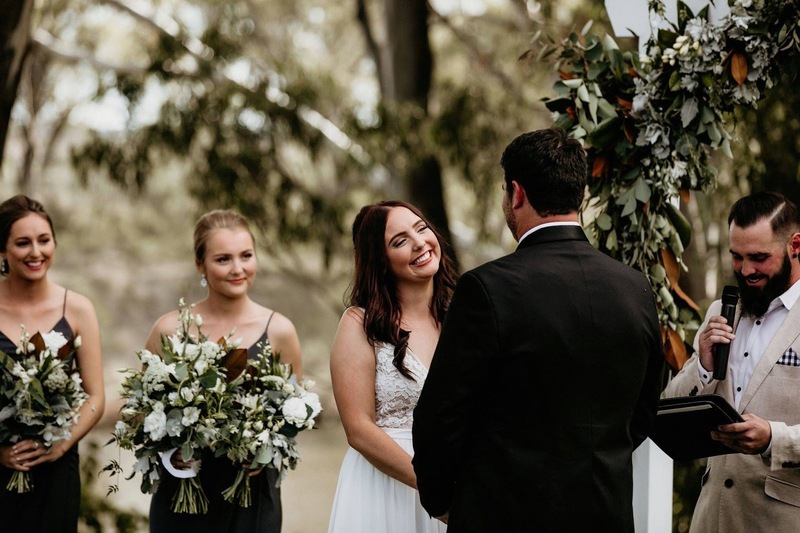 ➳ Take us to the beginning of it all for you - How and when did you decide to become a Marriage celebrant? 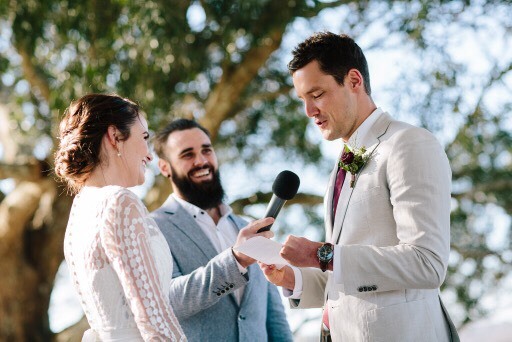 The only reason I’m a celebrant today is because my wife was sick of me whinging about having to go to boring weddings. She told me to shut up or do something about it. I looked into it and decided I’d give it a crack. 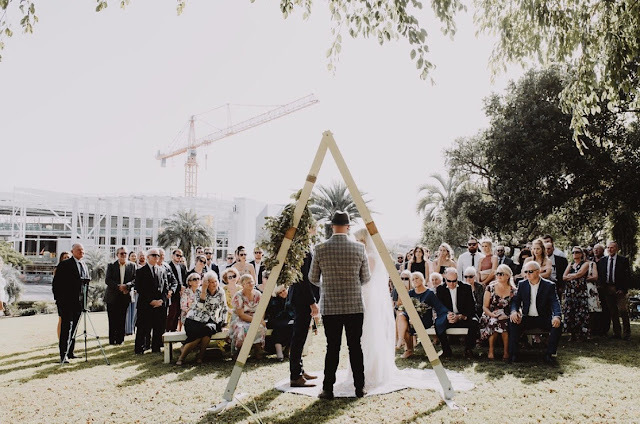 ➳ What can you offer Nearly Weds for their Wedding day? A Wedding ceremony that suits a more modern, laidback and casual generation. 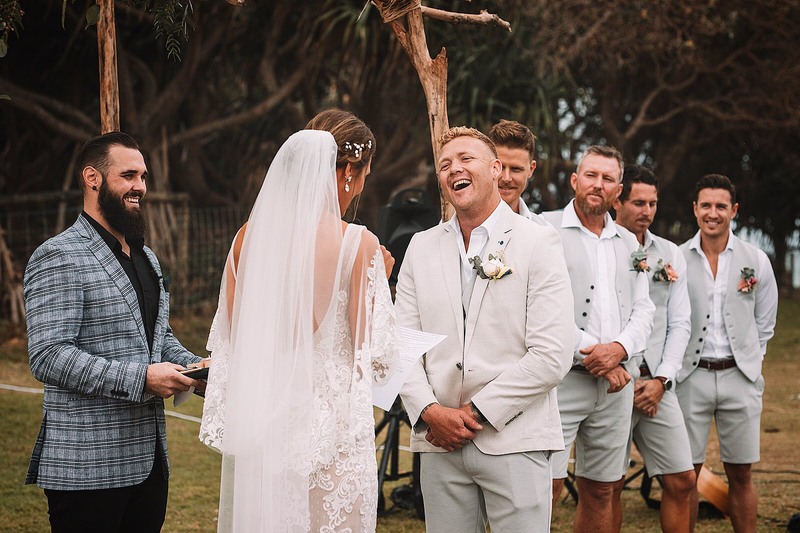 Their ceremony will be a bit of fun and enjoyable, rather something to be endured until the party starts. 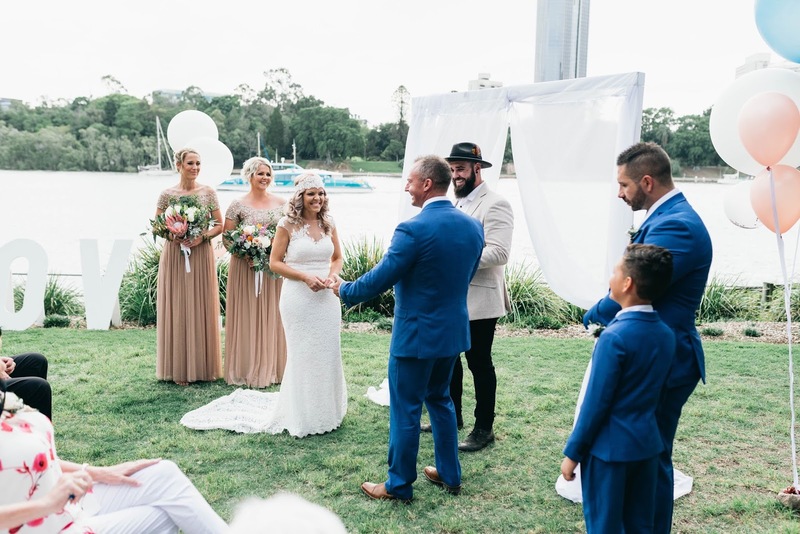 ➳ Did you always know that you wanted to be a celebrant? Hell no. I had no idea. It wasn’t until I had become registered and had done a couple of Weddings, that I realised I loved doing it and it was worth pursuing. ➳ Do you have any stories that you would like to share from your experiences? 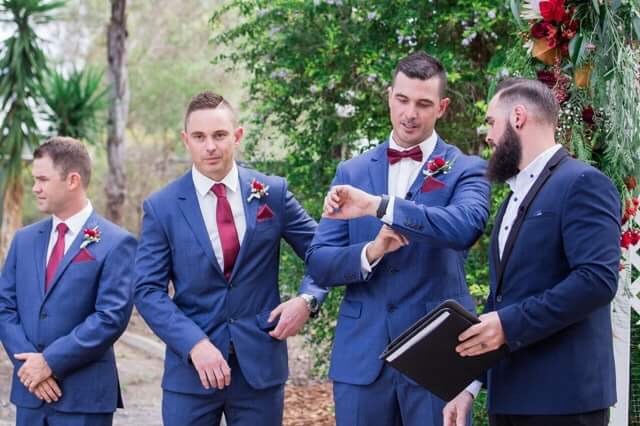 The only one that comes to mind is the time I got to marry my brother and his wife on our family property in Charleville, in western Queensland. 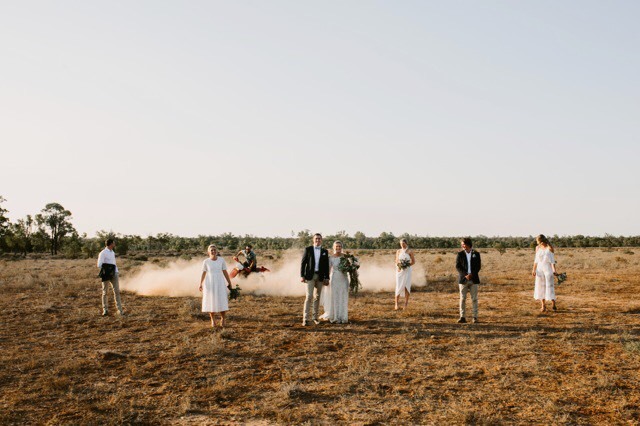 After we had done the ceremony, they were headed off to do some photos in the paddock and in need of someone to muster the horses on a motorbike. I obliged and ended up being used to create a bit of dust for some added effects for the photos. (As captured in one of the images below) I feel they really got their money’s worth out of me that day. 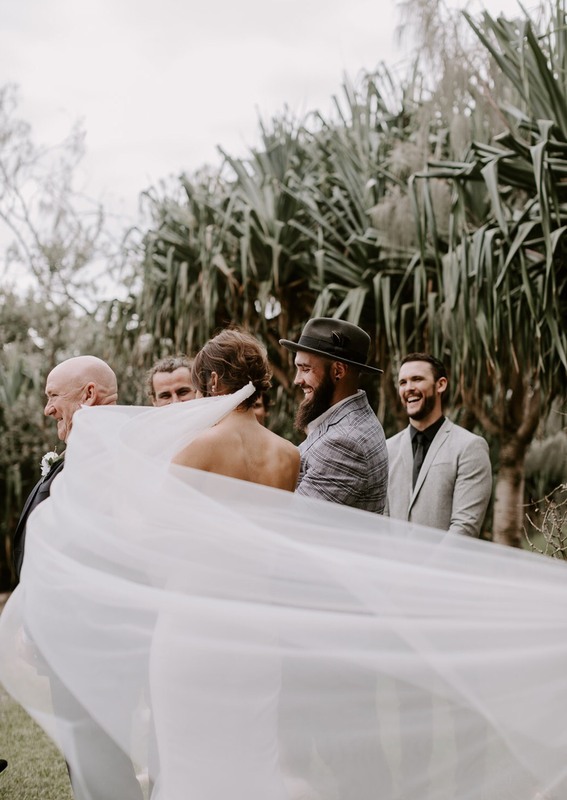 ➳ What advice would you offer to a married couple to-be that are just starting out on their search for the perfect Wedding celebrant? Know what you’re looking for. 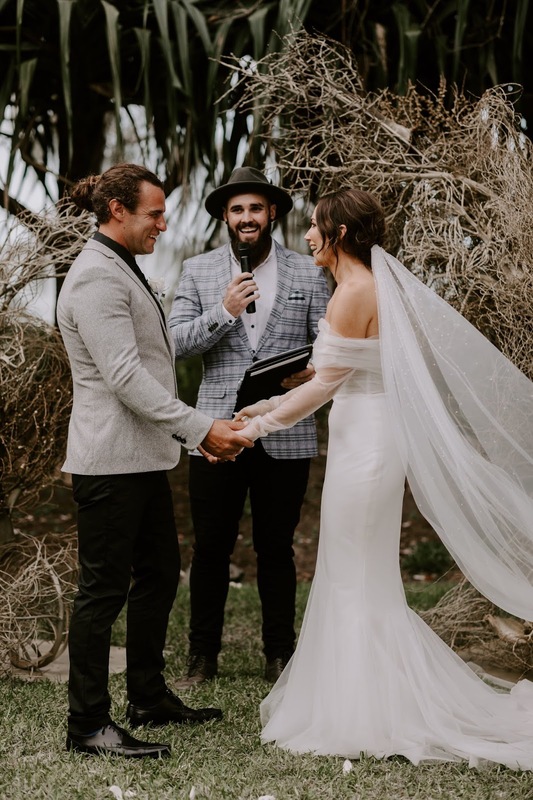 Have a conversation with one another, work out the style of ceremony you’d like, what you’d like included in the ceremony and what your looking for in a celebrant. 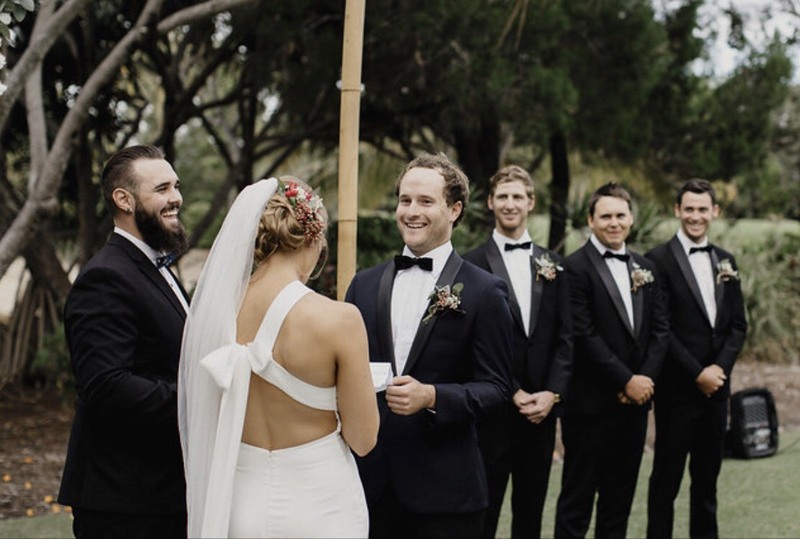 Have some questions ready to go for when you meet up with your potential celebrants as well. ➳ Please tell us, what is the best part about what you do? Getting to hang out with people at such a happy event. Everyone is always in such a happy mood and looking to have a bit of fun. I also enjoy getting to know the couples and nothing beats the feeling of being part of a ceremony that is exactly what they wanted.